A very unusual pair of beautifully carved Walnut wood armchairs. Italian c1900. Carved and finished at the back also. Reupholstered in blue/grey fabric. 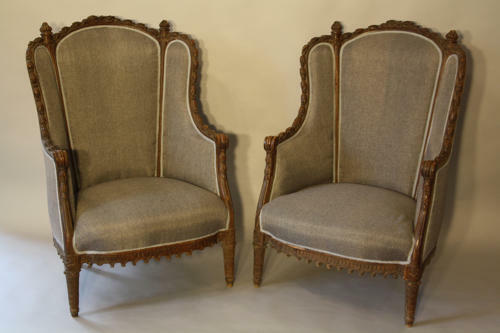 An elegant pair of lovely proportions, detail as well as being very comfy!